We have an opening in our co-op! As of April 1, 2019, we have a suite available for a new member or member couple. Contact us to begin a conversation or to learn more. We are currently a group of nine adults - singles and couples. We completed construction of our new co-op home in February 2014, after three years of community building, design and construction. We have six equal shares in the full value of our property and house. Beyond this initial investment, we share equally the other costs of living together. We describe our project as an ‘intentional community’. We share expenses and live co-dependently with a common kitchen, shared evening meal, dining and living room space as well as private studio rooms. 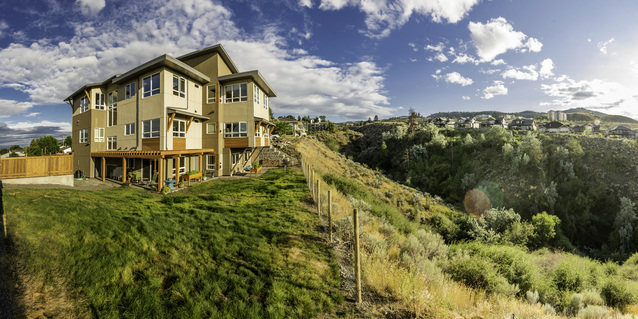 We are structured as an equity housing co-operative and our by-laws conform to the BC Co-operative Act. 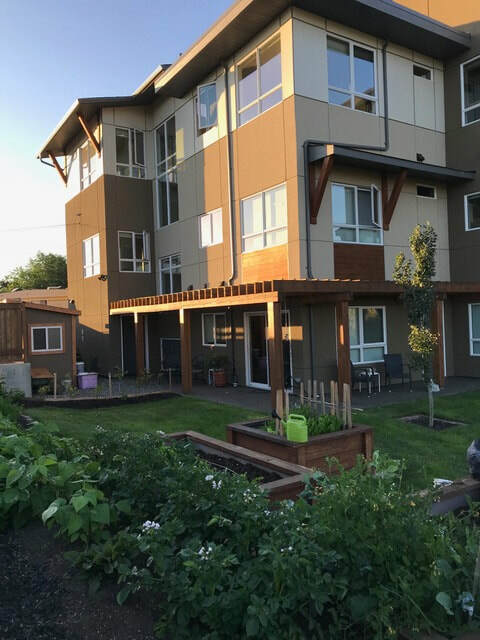 Our mandate is to provide community housing designed to lessen our environmental footprint, share resources and living costs, provide social enrichment and community support and to showcase a new model for interdependent living. Our community life includes consensus decision making, communication based on modified circles practices, conflict resolution and respectful listening. ​We have a total number of six equal memberships (a member can be a single or a couple) in our equity co-operative. The RareBirds members are aware that our co-op housing model is innovative. Our research indicates that we differ from the majority of housing co-op developments in that we are building a single family home with design features to allow both private and common living spaces for adult oriented, multigenerational community living. Our goal is to document the path of this project from inception to completion with the objective of developing awareness and education in our own community, and the larger population, in more viable and sustainable alternatives to housing ourselves. The RareBirds welcome people of all ages who hold a deep set of values regarding sustainability and sharing of resources. One of our objectives is to showcase a model for a more sustainable, co-operative way of living together in a modern construct of shared housing. *If you are interested in exploring becoming a member of this innovative living concept please contact us for more information. See our contact us page. Check out and like us to Facebook!